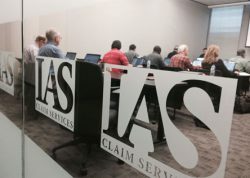 IAS Claim Services is offering a great opportunity for those adjusters who need to obtain or renew their USAA Certification. We will hold a USAA certification class and test on Wednesday, March 28, 2018 at the Hyatt Place Birmingham. This certification is valid for three (3) years. Please ensure you arrive for registration at 1:30 PM. The certification course will begin promptly at 2:00 PM. Experience: You must have 3 or more years of verifiable FIELD ADJUSTING experience. If you are prior military this requirement is reduced to ONE year of verifiable FIELD ADJUSTING experience. You must pass the test which follows the 1.5 hour presentation. No computers are required for the certification.